If you’re a footy fanatic, get set to meet your match – the Match! Annual 2012. However many hours you spend following your team or pounding the pitch outside, the Match! team are even crazier about football than YOU are! In their monster book of football fun, you’ll meet the world’s biggest stars, witness the craziest moments of 2011, grab a Euro 2012 preview and discover cool “Before They Were Famous” profiles. PLUS – don’t miss the stunning action photos, awesome posters, quizzes, games and loads more. 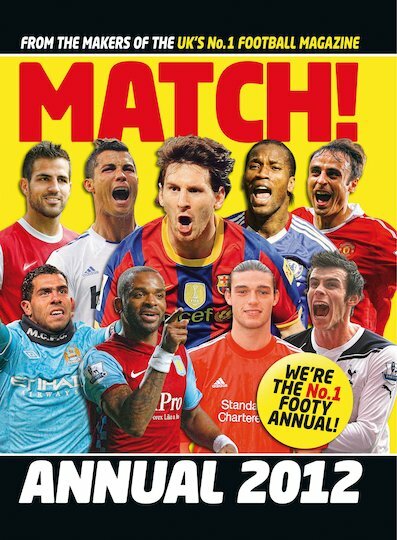 It’s the annual that every footy fan wants, and every football star wants to be in!